With 20 year’s experience, The Cheeseman brand has grown from strength to strength, supplying and distributing quality products throughout Zimbabwe. From restaurants and hotels to supermarkets and schools, you’ll find a delicious Cheeseman product at every table. The Cheeseman is one of Zimbabwe’s leading suppliers in dairy, cheese, deli and fish ensuring the very best brands are available throughout the country at their tastiest and freshest best! We take pride in our large, modern cold rooms, back-up power supplies that ensure the integrity of the cold chain, and large fleet of trucks that swiftly deliver our products. The Cheeseman Wholesale Division serves supermarkets, restaurants and hotels offering a wide range of fresh products at wholesale prices. Why not visit our Retail Outlet and Delis in Harare and Bulawayo where you will find our full range of brands on offer. 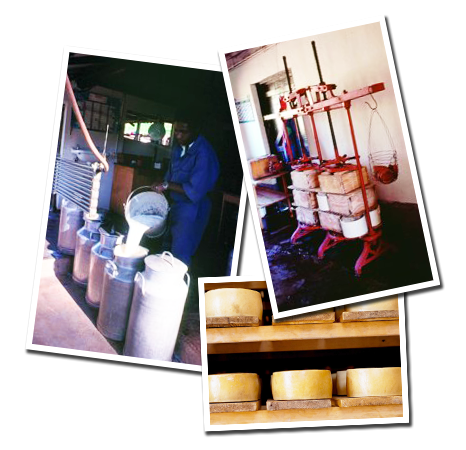 Established in 1996 as the distribution company for Vumba Cheese, a range of top quality, soft French-style cheeses and yoghurts, hand made in Bvumba. 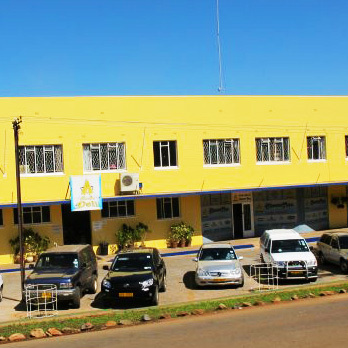 Within a year the company took on the distribution of Kefalos and Flame Lily Cheeses and dairy products all made in the Harare South Kefalos factory. The range of products quickly grew incorporating Claremont Trout, Lake Harvest Tilapia, Vumba Coffee and Blue Mountain Fruit Juice. The Kefalos factory grew to include a range of popular real dairy ice cream and today includes fresh milk as part of its portfolio. To meet the increasing demands for fish and fish products, The Cheeeman has added imported ranges of sea fish and sea food under the label The Fisherman, in addition to popular local brands Claremont Trout and Lake Harvest Tilapia. The Cheeseman Deli opened in 2008 adding a wide range of delicatessen foods and beverages, including wines. Cheeseman looks forward to being on your table for for years to come. Claremont Trout farmed in the fresh mountain streams of the Nyanga district in Zimbabwe. Clavelshay Dairy in Kadoma produces cream cheese, Boursin and cottage cheeses made from rich Jersey milk. South Africa’s leading producer of artisanal and speciality cheeses with over 20 permanent lines in the Fairview cheese range. A traditional dairy manufacturer with a diverse range of high quality cheeses, yoghurts, ice creams and a number of other dairy products. Ladismith has been making a large range of cheese since 1999 and is widely available in Zimbabwe. Range of fresh tilapia option from whole to skin on, skin off, farmed at Lake Kariba to stringent international standards. The Leopard Forest Coffee Company's specialty is roasting unique coffees. This delicious soft and creamy cheese brings out the kid in all of us and it’s been loved in homes for generations. Mezé Foods offers a myriad of products, including cheeses, dips, pesto’s, olives and pita bread. Parmalat is one of the major players in the dairy industry with a product basket includes award-winning dairy products. The Fishman has a very wide range of both local and imported fresh water and sea fish, and delicious, much sought after, seafood. Simonsberg has been making fine cheeses for decades, earning their title as the masters of fine cheese. Award winning pure arabica medium roast coffee produced in the Bvumba mountains, available in both beans and as ground coffee.